Greenville–Spartanburg International Airport (IATA: GSP, ICAO: KGSP, FAA LID: GSP) (Roger Milliken Field) is near Greer, South Carolina, midway between Greenville and Spartanburg, the major cities of the Upstate region. The airport is the second-busiest airport in South Carolina, after Charleston International Airport, with about 2.31 million passengers in 2018. The Federal Aviation Administration (FAA) National Plan of Integrated Airport Systems for 2017–2021 categorized it as a small-hub primary commercial service facility. Before construction of the Greenville–Spartanburg International Airport (GSP), each city had its own airport and competed for airline service. In the mid-1950s Roger Milliken, a textile heir, industrialist, businessman (CEO of Milliken & Company), and political activist, worked with other Upstate business leaders to get a shared airport for the two cities. In 1958 a proposal for an airport between the two cities was presented to the legislative delegation for the two counties, which approved the construction and the creation of an airport commission, headed by Milliken. GSP opened on October 15, 1962, replacing Greenville Downtown Airport as the primary airline destination in the region. In the 1980s GSP expanded its terminal and cargo facilities, and the runway was lengthened twice in the 1990s. In 2004 the airfield was named for Milliken. Having been served by legacy carriers, with large hubs in nearby Atlanta and Charlotte, GSP had long been plagued with high fares. The arrival of low-cost carriers in recent years has reduced fares and increased passenger figures. Allegiant Air began flights to Florida in 2006, and in 2011 Southwest Airlines began service to five cities. Local officials attribute Southwest's presence to an unprecedented 38% growth in passenger figures between 2010 and 2011. In 2011 GSP received an ANNIE Award from Airline and Airport News & Analysis for being the fastest-growing small airport in the United States. In 2012 the U.S. Department of Transportation's Bureau of Travel Statistics reported that average fares from GSP decreased by 14%; the largest decrease in the country. The airport covers 3,500 acres (1,400 ha) and has one runway, 4/22, 11,001 ft × 150 ft (3,353 m × 46 m) asphalt/concrete. The airport has one terminal building with two concourses: Concourse A (gates A1–A9), and Concourse B (gates B1–B4). The check-in level is the same for all passengers. In 2012 the airport embarked on a four-year, $102 million terminal improvement program which would modernize the terminal and improve passenger flow, as well as prepare for future expansion. Future planning includes several options, i.e., the expansion of the terminal by 300% of its current capacity and the possibility of the addition of second runway, parallel to the existing one. Concourse A is used exclusively by Allegiant Air, American, Southwest and United. Delta and Delta Connection use Concourse B. The airport can handle up to 250 passengers per hour through immigration and customs checkpoints. FedEx has a major package facility on the north end of the airport, and BMW has a facility which supports easy transfer of arriving parts to the company's manufacturing facility, three miles to the east. The airport was the facility used for many equestrian teams to deliver horses to and from the 2018 FEI World Equestrian Games in neighboring Tryon, North Carolina. GSP is serviced by six passenger airlines and their regional affiliates. All service is domestic. In July 2016 GSP airport and Senator International of Germany announced that a regularly scheduled twice-weekly freight service would begin in November between Greenville/Spartanburg and Munich, Germany. The freight service would be the first scheduled international route for the airport. Senator International began the international freight service to Germany in November, operated by Air Atlanta Icelandic with a Boeing 747-400F aircraft, to both Munich and Frankfurt–Hahn. ^ "Greenville–Spartanburg International Airport Passenger Statistics." GSPairport.com. ^ "List of NPIAS Airports" (PDF). FAA.gov. Federal Aviation Administration. October 21, 2016. Retrieved April 26, 2017. ^ Staff Reports "http://www.goupstate.com/article/20060824/NEWS/608230366" August 23, 2006. ^ Staff Reports "." Spartanburg Herald Journal. May 11, 2010. Retrieved on May 11, 2010. ^ a b "GSP International Airport". GSP International Airport. Archived from the original on April 2, 2015. Retrieved April 8, 2015. ^ "GSP International Airport". GSP International Airport. Archived from the original on June 24, 2016. Retrieved April 8, 2015. ^ Montgomerybob, Bob. "GSP announces air cargo route to Germany - News - GoUpstate - Spartanburg, SC". GoUpstate. Retrieved July 27, 2017. ^ "GSP announces new cargo service from Senator International". Upstate Business Journal. July 19, 2016. Retrieved July 27, 2017. ^ "GSP is in elite company with new international air cargo service". Greenvilleonline.com. August 12, 2016. Retrieved July 27, 2017. ^ "SENATOR Atlantic Bridge". Senator International. November 5, 2016. Retrieved July 27, 2017. ^ "New BMW link with South Carolina". Freightweek.org. Retrieved July 27, 2017. ^ "Senator Atlantic Airbridge to depart once a week from Munich to Greenville/Spartanburg, NC, USA". Ajot.Com. Retrieved July 27, 2017. 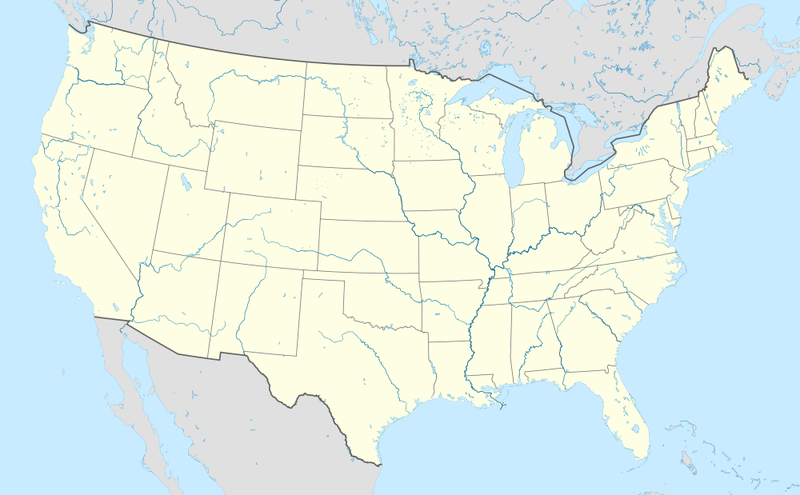 ^ "Allegiant Air Route Map". www.allegiantair.com. Retrieved February 25, 2017. ^ a b "Flight schedules and notifications". Retrieved February 25, 2017. ^ a b "Delta Flight Schedule" (PDF). Delta.com. pp. 631–635. Retrieved February 25, 2017. ^ "Frontier Airlines expands service from Tampa to six cities". Tampa Bay Times. August 8, 2018. ^ "Check Flight Schedules". Retrieved February 25, 2017. ^ "Timetable". Retrieved February 25, 2017. ^ "Senator International Launches Atlantic Air Bridge". cargoforwarder.eu. July 24, 2016. Retrieved November 5, 2016. ^ "Senator International adds weekly cargo flight from GSP to Mexico". wspa.com. June 25, 2018. Retrieved June 26, 2018. ^ a b "RITA - BTS - Transtats". bts.gov. Retrieved February 20, 2018. ^ "GSP International Airport". GSP International Airport. Retrieved April 29, 2017. Wikimedia Commons has media related to Greenville-Spartanburg International Airport. This page was last edited on 23 April 2019, at 02:44 (UTC).